Research into the Lake Michigan food web has increased in the last decade, but there are still a lot of questions—exactly what is eating what, and how is that dynamic affected by environmental changes? To find answers to these and other questions, researchers from federal and state agencies, universities, and non-profit organizations will come together next month in Ann Arbor, MI. The two-day meeting will feature discussions on past and current food web studies and end with a plan for future research. The meeting kicks off April 1 with presentations on several Sea Grant- and EPA-funded studies. IISG’s Tomas Hook, Sergiusz Czesny, director of the Lake Michigan Biological Station, and Bo Bunnell of the USGS Great Lakes Science Center will discuss the state of Lake Michigan fish populations, including the results of a three-year investigation of the differences in nearshore food webs across the lake. Harvey Bootsma, a researcher at the University of Wisconsin-Milwaukee, and NOAA’s Henry A. Vanderploeg will also be onsite to talk about recent findings on the diets of phytoplankton, algae, and other species at the bottom of the food chain. Additional presentations, orchestrated by IISG’s Paris Collingsworth and featuring IISG-funded scientist Cary Troy, will talk about research on the physical dynamics of the lake and steady flow of nutrients brought in by stormwater runoff—two important factors affecting food web structures. Paris will also introduce plans for upcoming monitoring and field activities in Lake Michigan as part of the Cooperative Science and Monitoring Initiative. Conversations on the second day will turn to planning. IISG research staff will team up with representatives from the Wisconsin and Michigan Sea Grant programs to lead discussions on data still needed to understand how invasive species, contaminants, climate change, and other factors are affecting the Lake Michigan food web. Meeting attendees will also have an opportunity to briefly talk about their research and where they hope to go next. 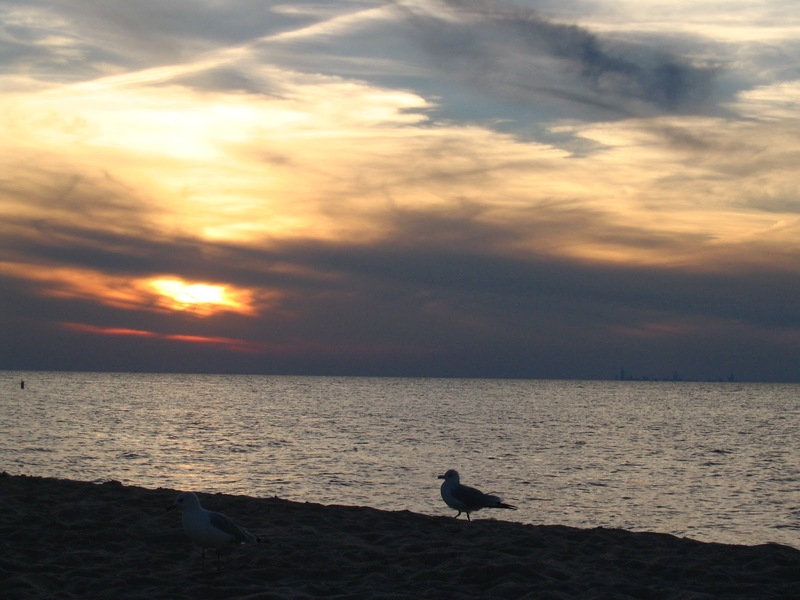 The gaps and next steps identified will help Lake Michigan Sea Grant programs identify research projects to fund in the coming years. This meeting is the third of its kind since 2008. And, like those before it, this year’s meeting is coordinated by IISG and GLRRIN Lake Michigan partners from Wisconsin Sea Grant, Michigan Sea Grant, the NOAA Great Lakes Environmental Research Laboratory, the US EPA Great Lakes National Program Office, and the USGS Great Lakes Science Center. Previous meetings helped launch the 2010 Lake Michigan Intensive Monitoring Field Year and resulted in roughly $1.7 million in funding for food web projects. To learn more about the meeting and how to attend, contact Carolyn Foley. And stay tuned for instructions on how to stream this meeting in real time.